Eagle Paint & Body was the premiere collision repair specialist for Augusta and Grovetown, GA. Brooks and his team established themselves at the forefront of collision repair by delivering the highest standard of workmanship in Augusta area combined with over 18 years of customer commitment and excellence. 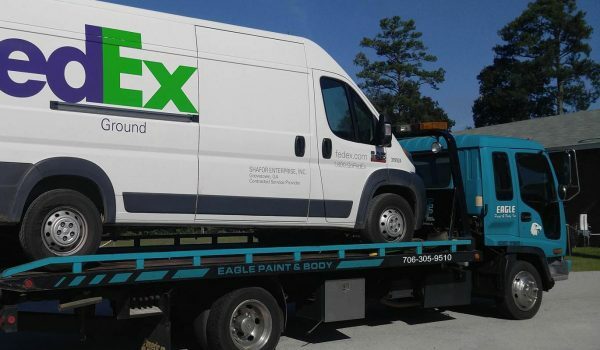 Recently, Brooks has sold Eagle paint and Body and staying into the towing part of the company. He intends to provide a unique level of service, which will be achieved through their commitment to staff training and a holding their employees to the highest standards.